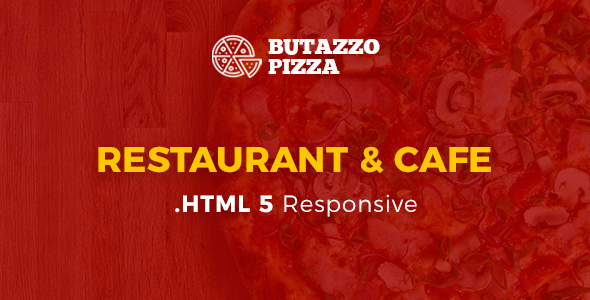 Butazzo Pizza – is a HTML5 Responsive, CSS3 One Page Template. It’s perfect for any Restaurant, Cafe & Fast Food business. Looks good on all types of screens devices and platforms (Android, iOS & Windows). Well documented, very easy to customize & does not require much knowledge of coding. It has all the needed components for starting a brand new Restaurant, Cafe or redesigning your current website. It also has a online reservation form which is more it can be used. You can change all images and icons to make this template serve your business. PLEASE NOTE: Any media — Images and used in the preview are not included in Template you dowload. Images are only for demo purpose. Used images are replaced with placeholder. But included documentation file for full instruction. Also, keep in mind that is purely an HTML/CSS template and not an WordPress theme.